Bali Children’s Project this week celebrated the milestone of sponsoring 300 children – or to be more precise 308 children! With 14 more children being sponsored for school, November was a landmark month. Not only did bring us past the 300 mark, but it was the highest number of new sponsorships of any month in 2018. Our thanks go to new sponsors of Grant & Sonia, Roselynn, Angela, Amanda & Brett, Roger & Barbara, Andrea, Ben, Alison, Marcus, Nana and Megan. Our continued thanks also go to existing sponsors, who together have helped us reach this landmark. It may not sound like a huge number to many people, but 308 lives changed will have a significant effect. Children are not numbers or statistics; they are human beings who have been handed a very tough life. Each of those 307 children comes from difficult circumstances, struggling from both family and financial problems. These children make up are in the bottom 18% of school students who end up dropping out of school. Through no fault of their own, these children have very limited opportunities in life. Without a graduation certificate they’ll struggle to get a job. And without an education, they’re unlikely to become anything more than basic day laborers. 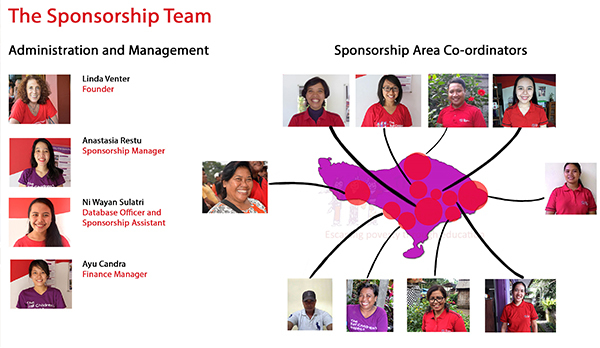 However sponsorships from Bali Children’s Project are changing that for these lucky children. It is children like Made Yudiani who have their whole lives changed by sponsorship. Yudi had to quit school after graduating primary school due to financial issues. Her father passed away 3 years ago and her widowed mother works as a labourer on a farm. As Yudi had already quit school, she worked full time every day to help her mother make ends meet. Yudi had dreams of graduating and becoming a teacher, but she had no choice but to stop school. Her mother just couldn’t afford the school entry fee. It wasn’t the future Yudi envisioned. She had dreams of graduating and becoming a teacher. 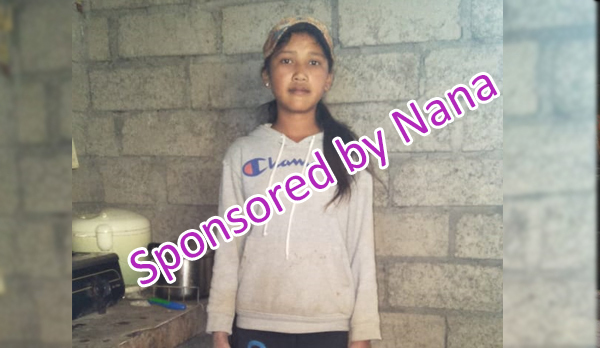 Yudi was put on our sponsorship waiting list in November, and thankfully has now been sponsored by supporter Nana. It means that next term she’ll be going back to school. She’ll be able to graduate and carve out new opportunities in life. Yudi’s story is just one of 308 children who were in similar situations. Putting it into context, sponsorship changes the direction of children’s futures. It opens the door to the same opportunities other children enjoy. 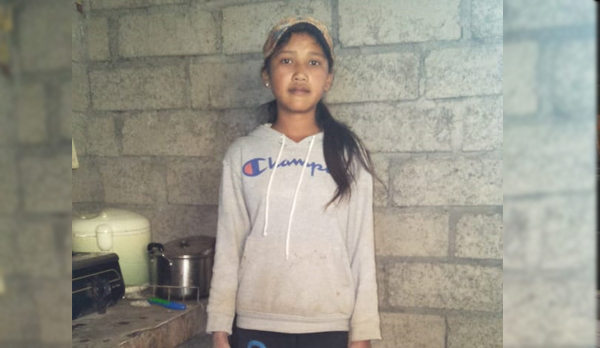 Yudi is now able to pursue her dream of becoming a teacher, but so many other children aren’t. That is why Bali Children’s Project will continue to support children like Yudi. The school system in Bali is complicated, and when children reach high schools, costs become more expensive, meaning children from the poorest families lose out. 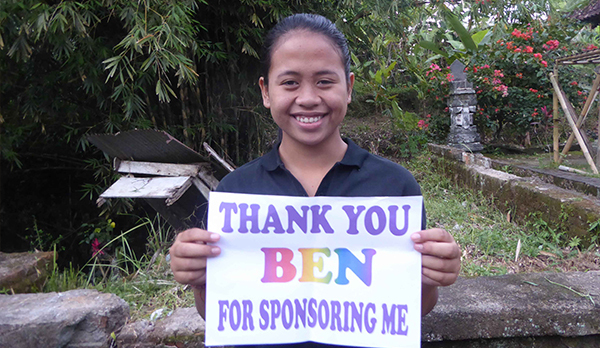 These life changing sponsorships can only happen when kind people commit to helping children see out their education. You can become a sponsor of a child for school too. See here for the guide on how to become sponsor.